Believe is one of the most structurally sound bulls you will ever run into. 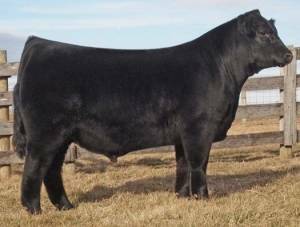 Sired by Deuce and out of a great Cherry Knoll cow, Believe brings a fresh maternal side and a flawless structure to a HOMO B and HOMO P package. If you want great performance and bone, body and structure, we Believe you can get it here.